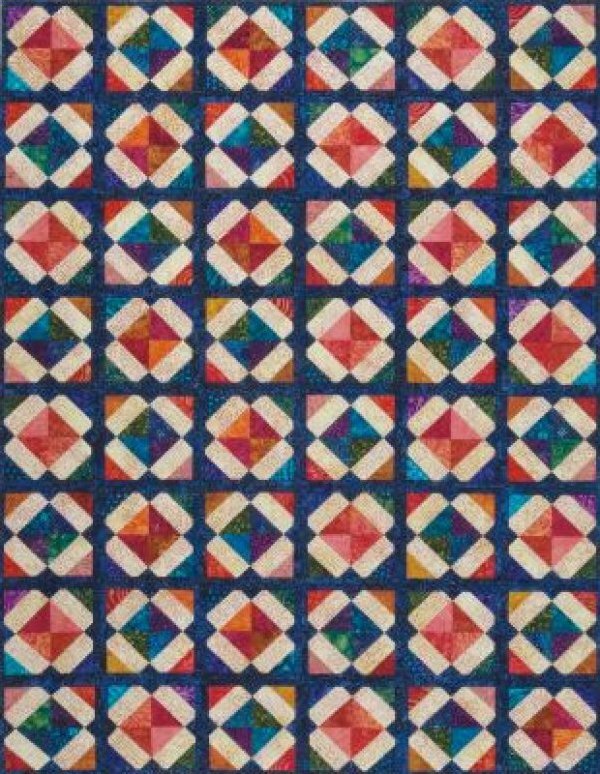 This fat-quarter-friendly quilt shows off a variety prints, separated into lights and darks. 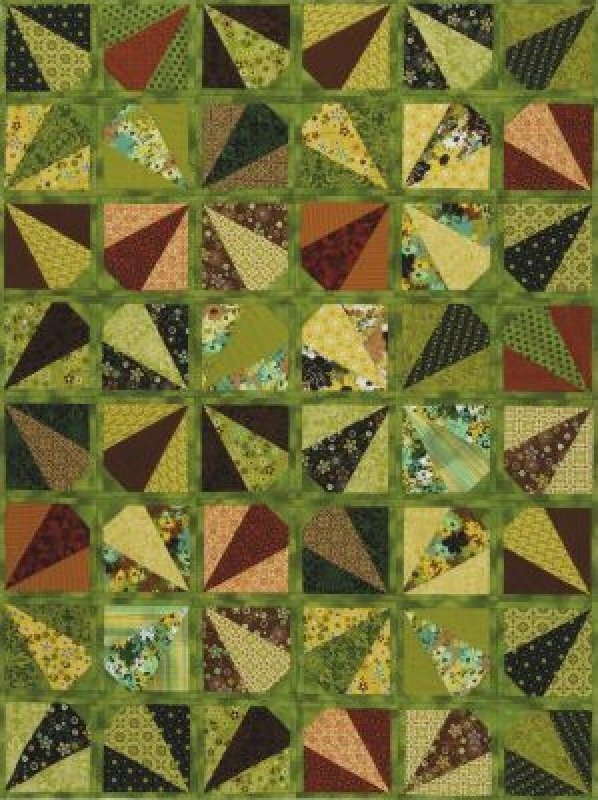 The Easy Diamonds Quilt is a great way to learn the Fun&Done! technique. Feathered flowers give an elegant look to this easy technique. 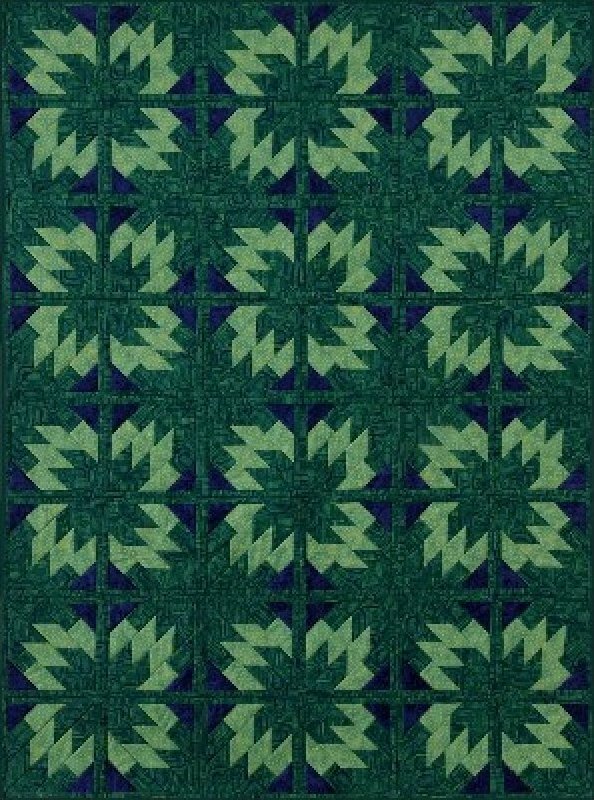 A dazzling scrap-buster quilt! 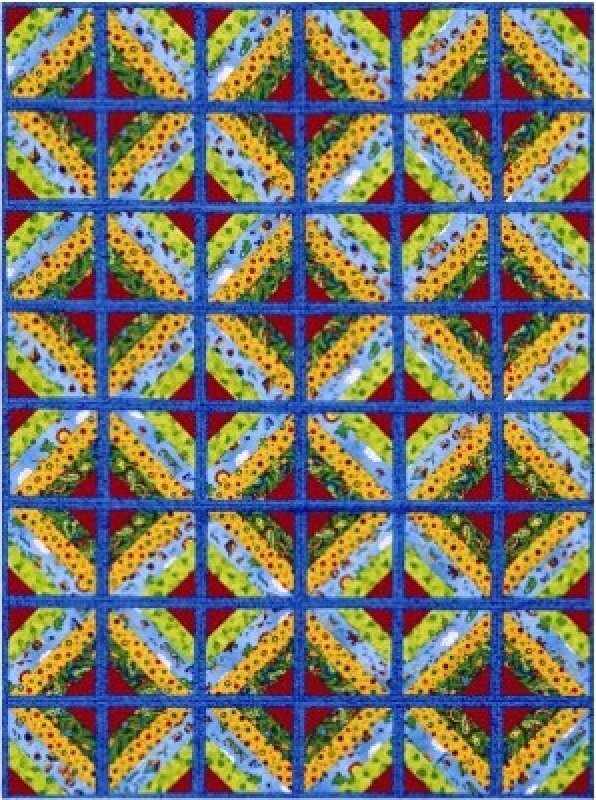 This version groups the fabrics into dark/cool colors and bright/warm colors to make it sparkle.